Defence Secretary Gavin Williamson has said he does not like the idea that Islamic State bride Shamima Begum “who turned her back on this country” will receive legal aid. Islamic State bride Shamima Begum has revealed she is coming to terms with the prospect she may never return to Britain, but insisted she was “brainwashed” by the extremists she ran away to join as a schoolgirl. The father of a British teenager who ran away to join the Islamic State group in Syria says his daughter’s citizenship should not be cancelled and she should return to the UK and be punished if she has committed a crime. Shamima Begum and her newborn baby are thought to have been moved from a Syrian refugee camp after they were “threatened”, her family’s lawyer has said. An image of teenage IS bride Shamima Begum has been used for a target at a children’s shooting range alongside others depicting Donald Trump and Justin Bieber. Hundreds of children may have been born to “foreign fighters” who fled Britain to join Islamic State, the Home Secretary has suggested. Floodgates could be opened for Islamic State supporters coming back to the UK if Shamima Begum succeeds in getting back into the country, a former counter-terrorism police chief has warned. Islamic State bride Shamima Begum’s father has said she “belongs to England” and urged the Government to restore her citizenship. Islamic State bride Shamima Begum said she regrets speaking to the media and wishes she had found a different way to contact her family. Jeremy Corbyn has criticised the decision to strip Shamima Begum of her British citizenship and said she should be permitted to return to the UK to face questioning. Radical Islamists could exploit unease caused by the decision to strip Shamima Begum of her British citizenship, the Government’s chief adviser on countering extremism has warned. 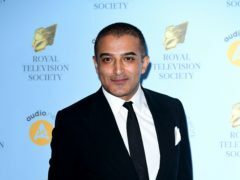 Adil Ray has criticised the Home Secretary for his “disgusting” treatment of Islamic State bride Shamima Begum. Shamima Begum: What has happened and why? The future of runaway schoolgirl Shamima Begum appears uncertain after her British citizenship was revoked but Bangladesh denied she was a holder of dual citizenship. Home Secretary Sajid Javid has said he would not leave an individual “stateless” when questioned on the future of Islamic State bride Shamima Begum. Islamic State bride Shamima Begum, who fled to Syria aged 15, is not a Bangladeshi citizen and will be barred from entering the country, its foreign ministry has said. There has been a mixed reaction on social media about the decision to strip Islamic State bride Shamima Begum of her British citizenship.